Rare find! 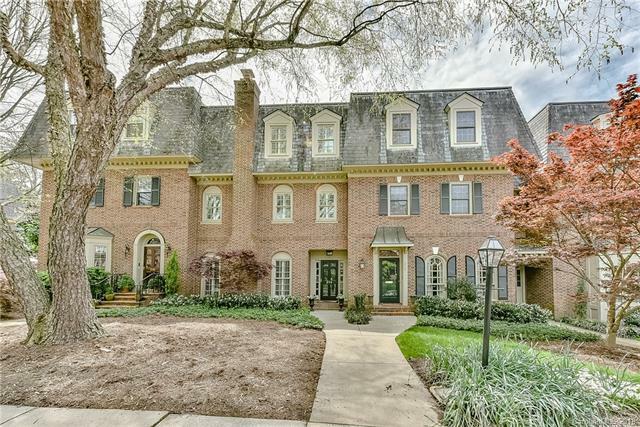 Gorgeous 3 bedroom & 3.5 bath town home on private street in Eastover. Completely remodeled in 2011 by Andrew Roby. New electrical, plumbing and exterior windows and doors. New hardwoods, crown mouldings, wainscoting and plantation shutters throughout main. Formal Dining room w/ gas fireplace and beautiful tile surround. Walk-in pantry & custom Butler's pantry. Kitchen w/ Custom inset cabinets, marble counter tops, large eat-in island, professional 48" range w/ 2 ovens, Sub-zero refridge/freezer, built-in micro and wine fridge. Kitchen opens to Great Room. Two sets of double French doors to private enclosed blue slate courtyard w/fountain and landscape lighting. Upper level has Master Suite w/ custom inset double vanity w/ marble counters, built-in linen cabinet & large walk-in shower. Laundry and second bedroom w/ 2 closets and full bath. Third level w/ large Bonus and Third bedroom w/ new neutral carpet and on-suite bath w/ cast iron tub. Walk to shopping and restaurants!